Like most small business owners, you’re dedicated to and proud of what you do, and you want to succeed. You’re an expert in your field, and know what your customers need. 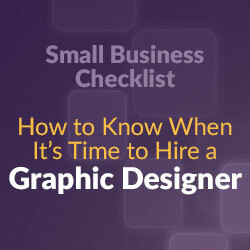 But when it comes to graphic design, it can pay to look outside your shop for professional help. A professional design eye can polish and bring coherence to your brand. It can offer a fresh perspective, and save you time and money in the long run. You don’t have time. Design projects are delayed, or other priorities pushed aside, and you feel rushed. When you’re running a small business, you have to be a lot of things to a lot of people. It’s tempting to take on in-house design projects yourself – how difficult can it be to make a logo or a promotional flyer? But when your to-do list is longer than your arm and you aren’t accomplishing your goals, you may need to reassess your commitments and leave design to the pros. Even if you’re a skilled designer, outsourcing can still be beneficial. No matter how much you’re capable of, your first priority is running your business. Having someone else take the reins can be a huge relief and free you up for more important tasks. You don’t have experience. There are countless resources, both online and off, for learning basic graphic design principles, color theory, layout, typography, and software. But do you really have time to learn everything, and learn it well? Graphic design professionals already have the education, training, and experience necessary to knock it out of the park when it comes to your logo design, web design, or any other project. While hiring a pro costs money, if you add up the hours and out-of-pocket costs of training yourself or another staff member to do the job, you’ll quickly find that the money spent on outsourcing is well spent. You have a “This is good enough” mentality when it comes to design. Good design is about more than just picking a neat font and adding some clip art. Design communicates an idea in the simplest, most striking way possible. Great design can make all the difference in helping your business stand out, convey your core values, and remaining top of mind. So while you may be adept at desktop publishing or even know your way around some design programs, if what you’re doing feels “off,” it probably is. Design shouldn’t be a second consideration. Your logo isn’t just something to fill space on a business card. Your website isn’t there just to park a presence online. If you’ve tackled some design projects in the past and found yourself saying, “Good enough,” then it’s probably time to reach out to a pro. You’re stumped. When something is as close to your heart as your own business, it can be difficult to get a fresh perspective on your design. We’ve already established how important design is to a business. Poor design can, at best, make little impact on the consumer and, at worst, turn your potential customers away. That’s why hiring an outside designer can go a long way toward putting together a unique design that complements your business. A design professional will know the questions to ask to get all the information needed to make a stellar design. They’ll be able to think like an outsider (like your consumers) and think of solutions that you would have never considered – all because you were too close to the problem. Everything looks different. Consistency is the cardinal rule of branding. From color and typography to layout and illustrations, each piece of your collateral and online assets should complement one another. But when you’re tackling your own design, it can be all too easy to diverge from a coherent path. Without brand guidelines and specific assets, you’re flying blind every time a project comes up. Here’s a test: Take your business card and a few pieces of collateral – flyers, brochures, mailers – and open up your website. Lay everything out so you can look it over all at once. Do you see common elements? Colors? Does everything feel like it came from the same company? Or is it all over the place? If what’s in front of you is a smorgasbord of design styles, fonts, and colors, then it’s time to reach out to a pro. Hiring a professional designer is far from being a waste of resources—often, it actually saves money in the long run. There’s a reason why the most successful companies reach so many customers: they put thought, time, and care into their brand image, and invest in it, with a professional designer’s help. 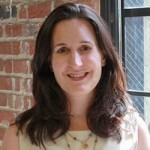 Pamela Webber is Chief Operating Officer at 99designs She is passionate about using data to derive customer insights and to find “aha moments” that impact strategic direction. In addition to her experience as a marketer, Pamela brings a host of first-hand experience as an ecommerce entrepreneur and working with fast-growing startups. Prior to joining 99designs, she founded weeDECOR, an ecommerce company selling custom wall decals for babies' and kids' rooms, and also worked as an executive marketing consultant for True&Co, a wildly successful ecommerce startup specializing in custom-fitted women¹s lingerie.